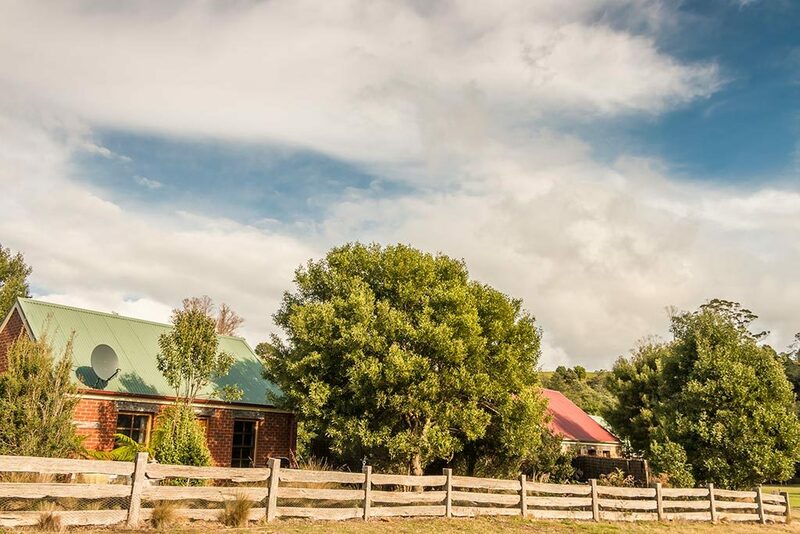 Fon Hock cottage in the shade of a Tasmanian blackwood tree looks out over the alpaca paddock towards the river. 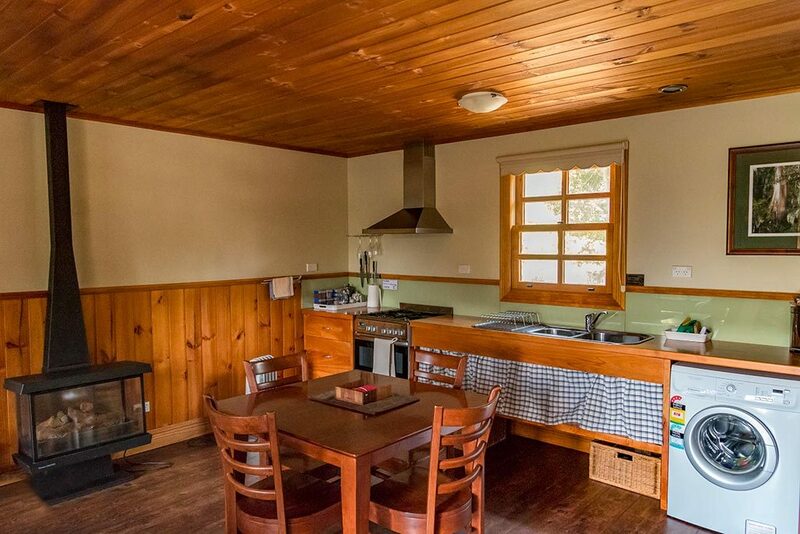 Fon Hock accommodation near Derby in Tasmania is a studio spa cottage. 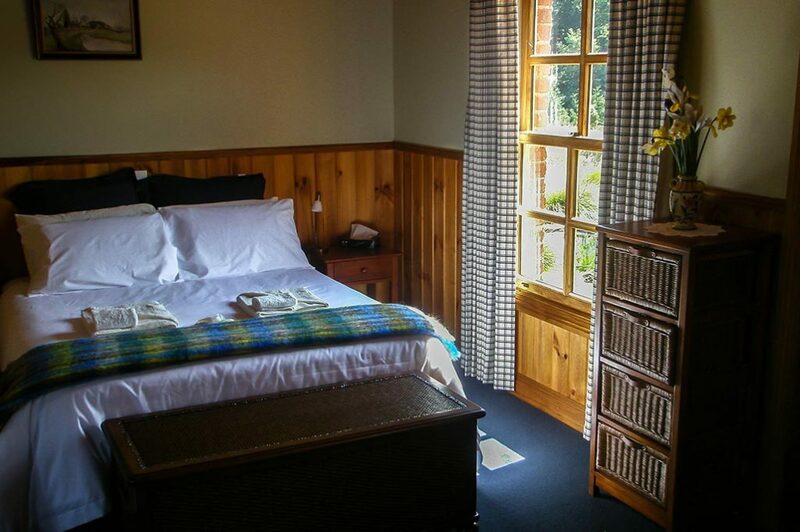 This accommodation has a well-equipped kitchen and laundry facility and TV & DVD player in the lounge room. 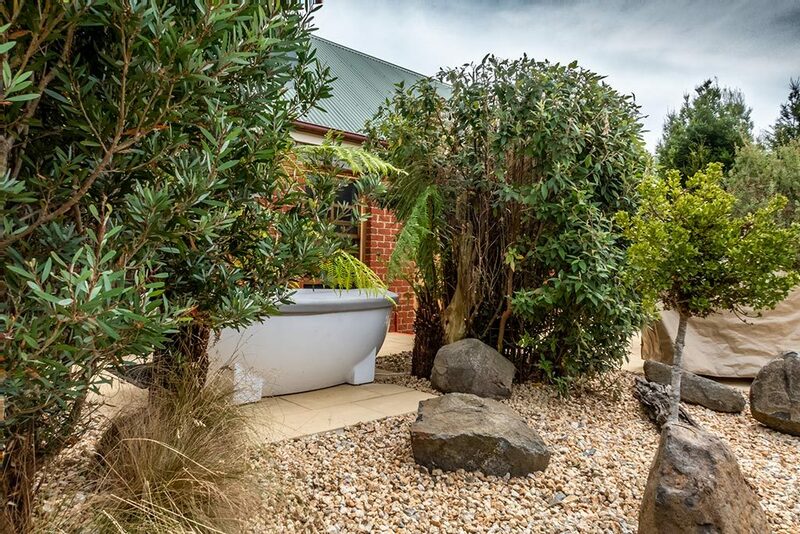 Furthermore it has a separate bathroom with double shower and toilet and a private outdoor BBQ and spa area. 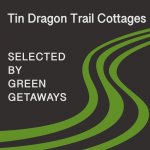 So, it is just what you are looking for near the Blue Derby mountain bike trails. 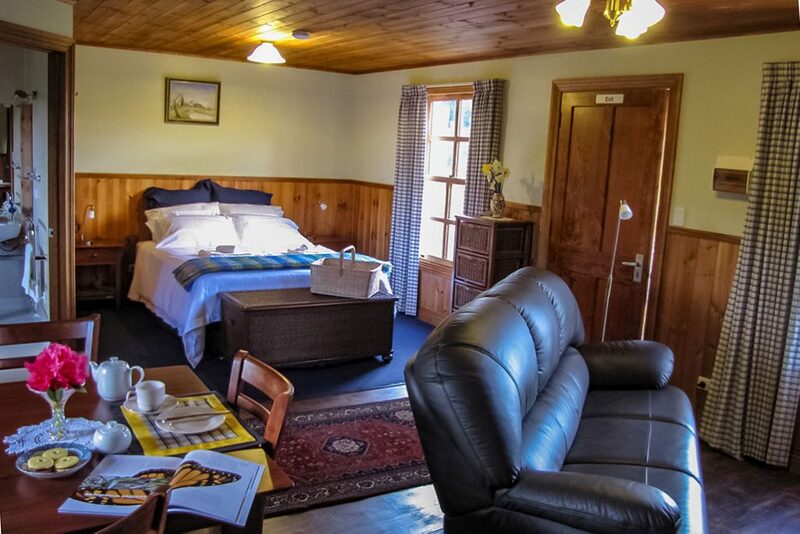 The accommodation also provides all linen, towels and toiletries and car parking is immediately behind the cottage. 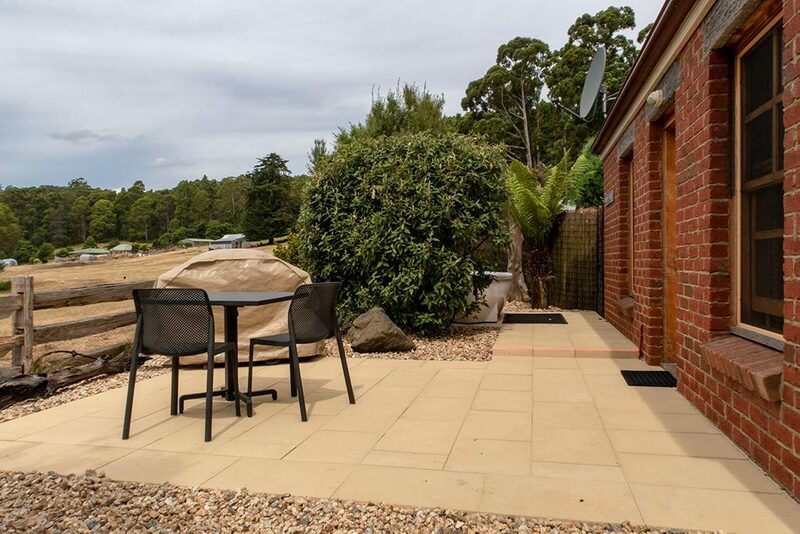 To ensure a relaxing stay, all cottages are non-smoking and free of wifi signals; however there is 4G wireless reception for both Optus and Telstra devices. 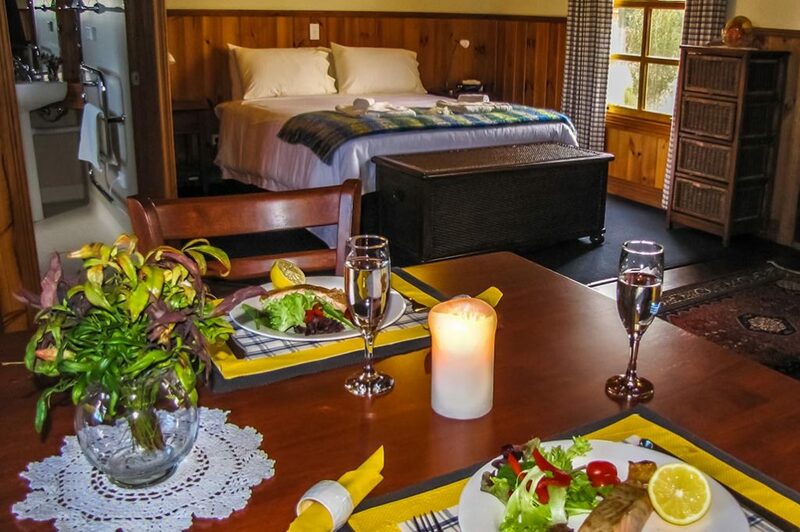 What Food is Included in the Accommodation? Your hosts provide the basic breakfast ingredients for your first breakfast including: tea, coffee, breakfast cereal, milk and farm-fresh eggs (when available). There is a convenient IGA grocery store in Branxholm for you to purchase items for the remainder of your stay. Of course you can also purchase a more luxurious breakfast, BBQ hamper, picnic or gourmet basket featuring fresh local produce from your hosts, too! Sign up to be the first to hear about new packages, specials and events.